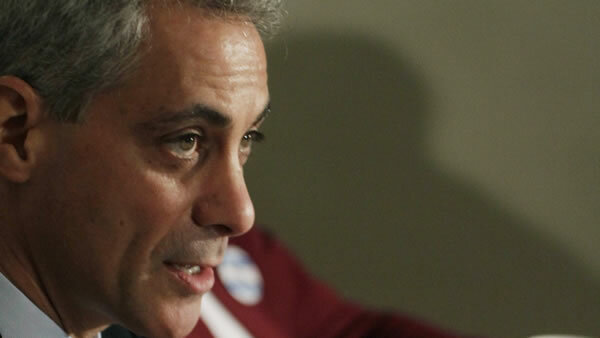 CHICAGO (WLS) -- Mayor Rahm Emanuel spoke for the first time about the decision to bring the Obama Presidential Library to Chicago. ABC7 Eyewitness News first reported last week that the first family chose a site near the University of Chicago over New York City and Hawaii for the library. Emanuel would not confirm the decision, but says the city is doing everything it can to land the library. "While there's been a lot of talk about it, until the President makes a decision, it's not a decision," Emanuel said, "and we're going to do everything to organize ourselves so the city is in the best position for this to be an easy decision for the first lady and the President of the United States, to put their library here in the city of Chicago." The Barack Obama Foundation is expected to make an official announcement on Tuesday, May 12.